“What’s on this week?” Released every Monday to let you know just what’s going on in the wonderful world of esports in the next seven days. Each week, ESI will pick three to four events and provide a brief overview of what’s going down, where it’s taking place and how you can watch it. Last week we focused on SMITE, Dota 2 and IEM Chicago, while SMITE and Dota 2 have now advanced to their next stage of competition, IEM Chicago saw another battle of North America v Europe as Astralis took the title 3-0 against Team Liquid to take their 7th title of the season. It’s that time of year again. The time for DOTA 2 to kick off a new Major cycle with the first Major of 2018/19 season. 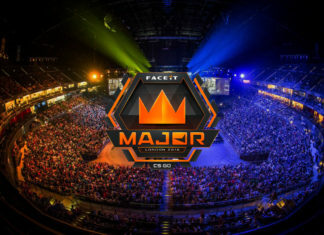 Kuala Lumpur will play host to the Major, organised by PGL, eGG Network and ImbaTV. After a fierce group stage, we’re left with only 12 teams, 4 in the upper bracket and 8 in the lower bracket. Team Secret, PSG.LGD, Ninjas in Pyjamas and Virtus.Pro will be our upper bracket sides going into the week (Games start on the 16th). Alliance, TNC Predator, Vici Gaming, paiN X, Fnatic, J.Storm, Evil Geniuses and Forward Gaming make up the lower bracket. Fear not League of Legends fans, while worlds might be over and ranked queue is down for a few months until season 9, there is still LoL esports action to be had, in the shape of the Open Tour France. The tour uses the gauntlet format. One game a day will be played with the winner going on to face the next challenger, Lunary and Solary will be the first sides in the gauntlet, with ROG School, Supremacy, Vitality Academy, Team-LDLC, Gentside and GamersOrigin standing in the way on the teams’ quest to be crowned champions of France. Matches will take place daily until the 17th of November. The final will take place on November 24th from Disney Land Paris. We’ve followed the SMITE World Championships from the start, so we decided to see it out. Both Console and PC finals will be played at DreamHack Atlanta. On the console, we have Astral Authority v InControl Gaming and RivaL v Flash Point all going for a spot in the final, with RivaL being the only European team left. Over on PC, we have Dignitas v Spacestation Gaming, Splyce v Obey Alliance, eUnited v Trifecta and NRG v RivaL.